Built in the late 1920’s by Island tradesmen, The Barnacle Inn was designed as a summer Inn and has been in business for more than 85 consecutive summers. For over 50 years, The Inn has been owned by the Kiendl family. In that time they have gained a gracious reputation from islanders and visitors alike. 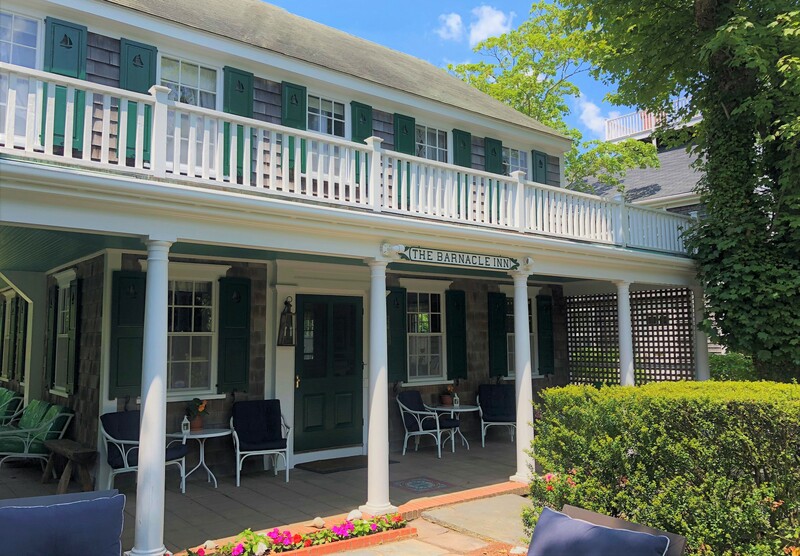 Step back in time’ at this classic Nantucket Inn. Uniquely situated in spacious garden surroundings in a historic Nantucket neighborhood, this bed and breakfast is conveniently located only two short blocks from cobblestoned Main Street in downtown Nantucket. All of the rooms bear the names of whaling vessels that sailed from Nantucket over a century ago. Enjoy a quick stroll to local shopping, museums, famous restaurants, Brant Point lighthouse, and nearby harbor beaches. Experience our signature breakfast on our scenic front or side patio. Enjoy charm and comfort at this authentic summer Inn.